This 12x12 double sided paper has Journaling Cards on the frontside while the reverses side has a beautiful dark green Damask pattern. Look for coordinating Products including PhotoPolymer Stamps, Etched Dies, Element Stickers, Ephemera Die Cuts and other Designer Papers. 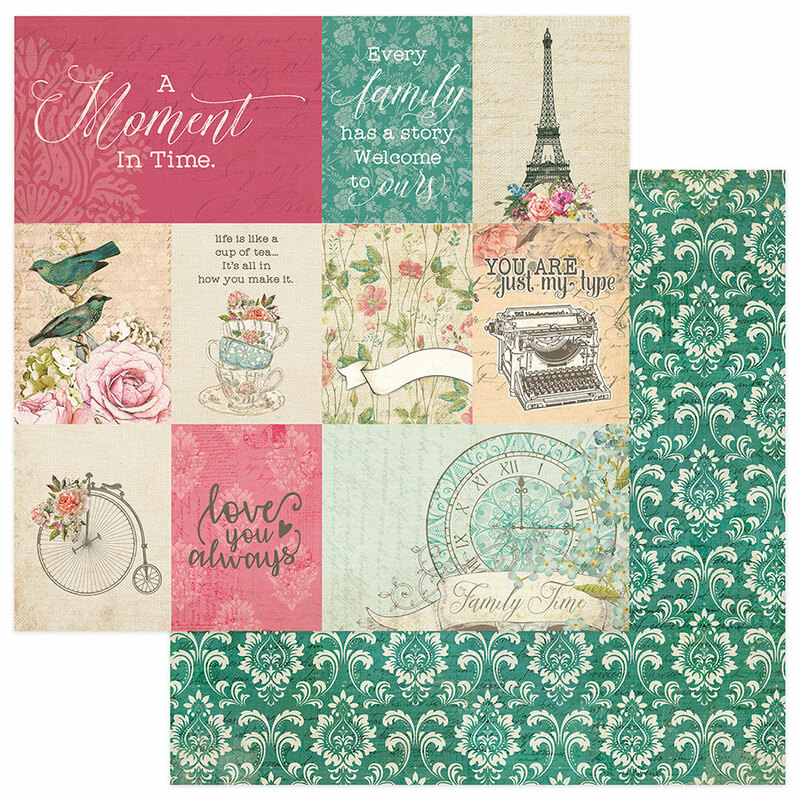 Part of the Moments in Time Collection by PhotoPlay Paper.